Located South of London, Ontario, houses for sale in Central Elgin Ontario are in an area that is bordered on the south by Lake Erie and includes the communities of Port Stanley, Belmont, Dexter, Lawton's Corners, New Sarum, Norman, Lyndale, Lynhurst, Sparta, and others. Just over 12,000 people call Central Elgin Ontario home. The area is known as a popular recreation area with multiple parks. In season, the beaches of Lake Erie are loaded with residents and visitors alike. Its convenient location is also a significant positive aspect of life in Central Elgin Ontario. Homes for sale in Central Elgin Ontario provide buyers with a wide choice of types, styles and price ranges. Here you will find modest single-family homes, farms, duplexes and multi-family homes as well as large modern estate style homes. 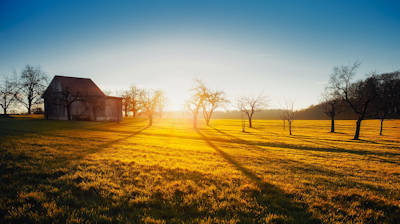 For those seeking larger properties with plenty of green space and privacy, Central Elgin Ontario can be a good choice. Homes here start in the $200,000 range and can reach upwards of $1 million. Get in touch with Team Forster today to learn more about the Central Elgin real estate market and to request a showing now! Give us a call at 519-851-2844 to speak to a Central Elgin real estate agent today. Courtesy of DRIVER REALTY INC. Listing courtesy of DRIVER REALTY INC.. Listing courtesy of ELGIN REALTY (1991) LIMITED.